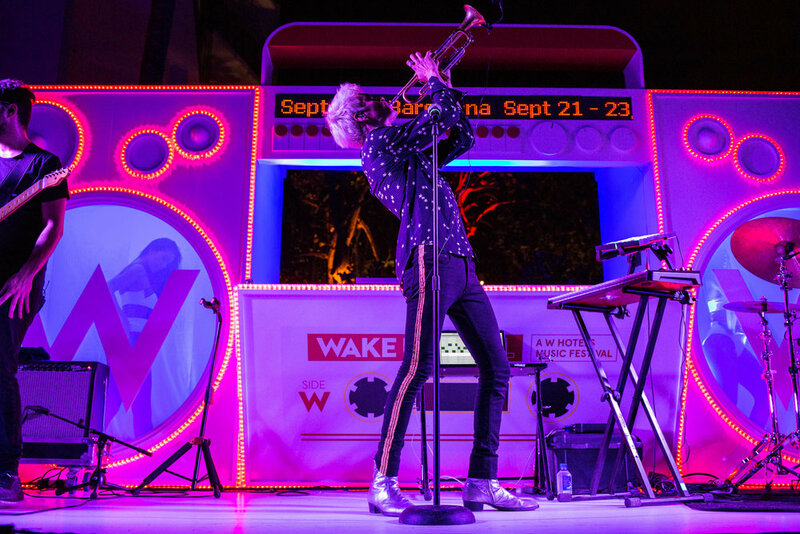 W Hotels has always been a music-first brand and in 2018, the hotel giant continued to grow its music programming with the expansion of its on-property festival Wake Up Call. In advance of the brand’s festival announcement, The Gathery produced an unprecedented party at LE Miami bringing the upscale music festival experience to South Beach. Through innovative design including captivating projections emulating sound waves and a dedicated photo booth installation bringing the Sound Suites experience to Miami, the event generated buzz surrounding the latest hotel initiative. The evening culminated with a headlining performance by Spencer Ludwig held on our striking ‘boom box’ main stage - all designed and produced with the bold, witty and disruptive W lens. The event was followed by an exclusive VIP dinner at Miami’s Design District restaurant, Alter, where dinner guests discovered clever table décor like cassette place cards, vinyl record menus and linen napkins embroidered with recognizable music-minded quotes from likes of Stevie Wonder and Madonna.